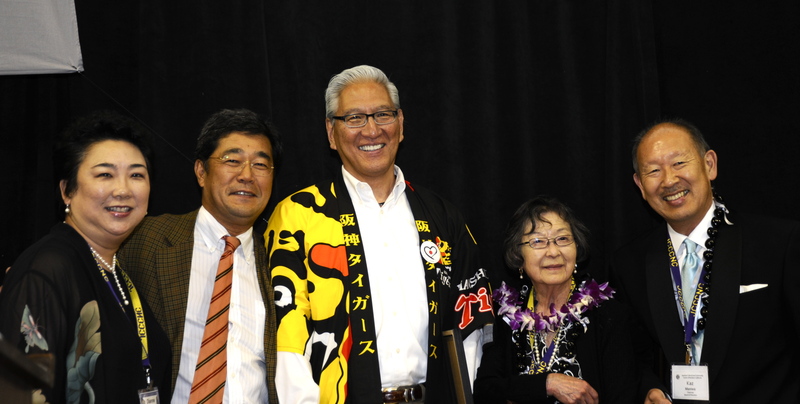 On behalf of the Japanese Cultural and Community Center of Northern California (the Center), THANK YOU for helping to make our 45th Anniversary an exceptionally memorable year. Forty-five years ago the vision of the Center was born. It was full of hope and dreams for making a better Japantown and a home for future generations of our community. Today many of those dreams have come true. Every day we see them come alive at the Center because our generous donors helped to make this place a reality. The Center is the only non-profit organization in Japantown that is not subsidized in part by government funding or federal grants. 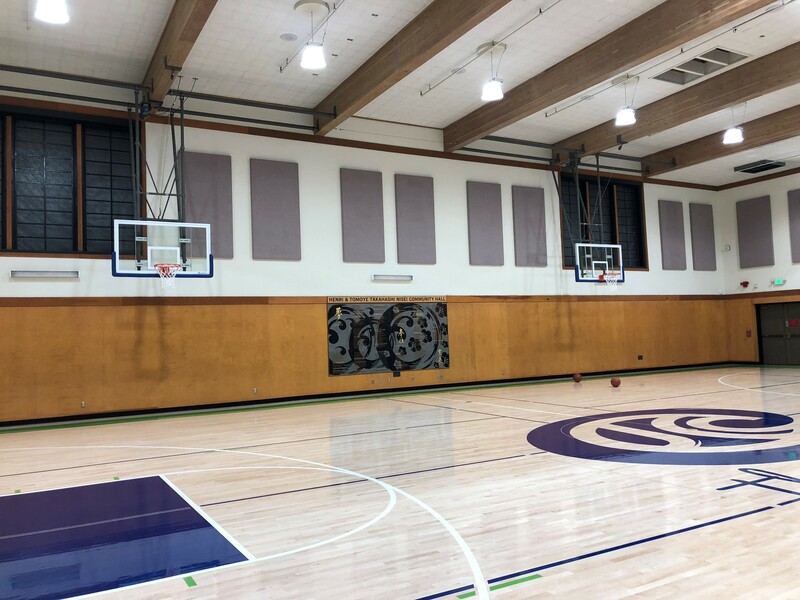 Despite that, the Center has become a model self-sufficient non-profit recognized both nationally and locally for being an exceptional community based organization. All our income is either earned through our programs, special events, membership, facility rentals or through our fundraisers and donations. It is people like you who have kept our doors open and the dream alive. 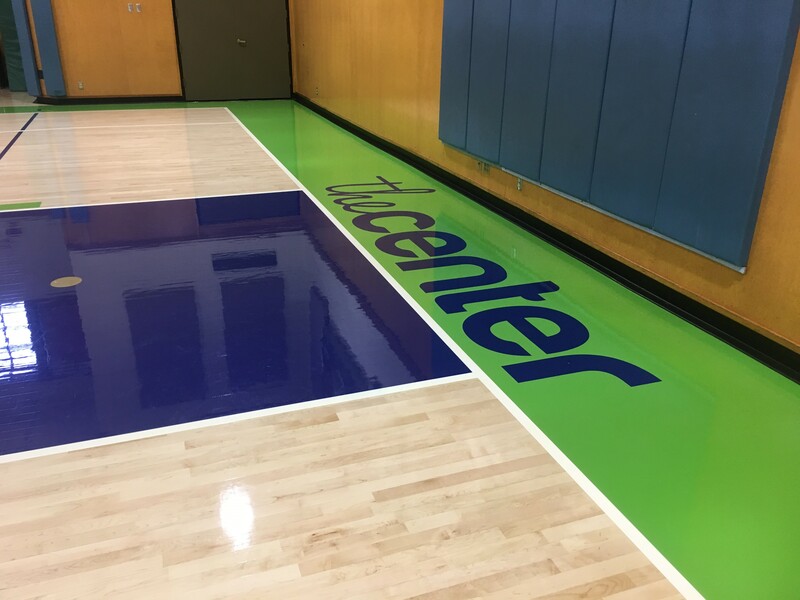 Without our donors the Center would have never been built and could not exist today. We hope you will consider becoming a 45th Anniversary donor for our Fall Support Drive. We will honor our Anniversary donors with a special recognition in our spring newsletter. This year we encourage you to make a donation in memory or in honor of someone special in your life; a grandparent, parent, spouse, family member, friend or someone who makes a difference in your life. Special people in our community built the Center and for our Anniversary we would like to recognize those in your circle as well. If you or a family member have taken a class or workshop, attended a special event, travelled to Japan, used the facility or believe in what the Center has done to make our community a better place, we hope you will consider becoming an Anniversary donor this year. On the reverse side of this letter please see our program highlights over the past years. 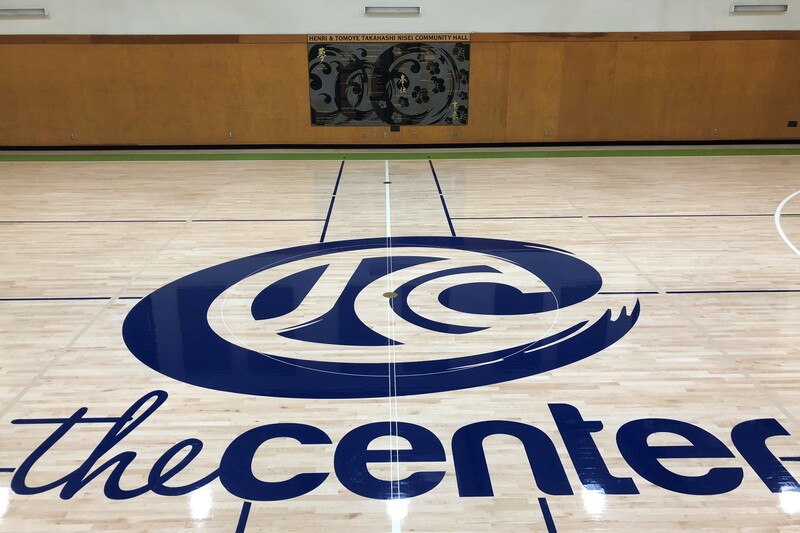 The Center has not only organized local programs for our community, but has taken a leadership role in creating state-wide, national and international programs. Every donation matters to us. No amount is less meaningful; every dollar makes a difference. Please take a moment to return the enclosed envelope with your fully tax-deductible donation. 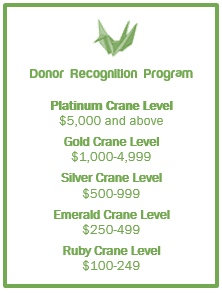 In appreciation of your donation, we would be proud to recognize donors ($100+) at the Ruby, Emerald, Silver, Gold and Platinum Crane levels in our main lobby, website, digital donor appreciation frame and in the printed spring 2019 newsletter. We will also recognize your donation in honor or in memory of the special people in your life and our community. All donations can also be accepted online at www.jcccnc.org. Thank you again for your continued support. The JCCCNC is a nonprofit organization that relies almost entirely on community donations and does not receive any funding from the government. All contributions are tax-deductible (Tax ID# 94-2560179) to the extent allowed by law. Donor information is used only for the purpose of acknowledgements and is kept confidential from any other group or organization. Donors ($100+) will be recognized at the Ruby ($100+), Emerald ($250+), Silver ($500+), Gold ($1,000+), and Platinum ($5,000+) Crane levels in our main lobby, website, digital donor appreciation frame, and in a printed newsletter in the upcoming calendar year.